Details: Learn more and register today. If you are a geospatial developer interested in amping up the power of location for your apps, plan a trip to the Esri Developer Summit (DevSummit DC) on February 11, 2015, in Washington, DC. Developers will hear about future plans for the ArcGIS platform. Last year's inaugural DevSummit DC was a big success—and a lot of fun, just like the Esri Developer Summit held each spring in California! To build on the enthusiasm that you, the developers, expressed for the event, Esri has added more tech sessions, more opportunities to present your work, and more Esri engineers and developers to talk with and learn from. DevSummit DC is a one-day event designed for geospatial developers, aka GeoDevs, held the day after the Esri Federal GIS Conference in Washington, DC. All GeoDevs are welcome, including those who were unable to attend the conference. ArcGIS Pro: Scripting with Python. Web AppBuilder for ArcGIS: Creating Custom Widgets and Themes. Esri Open-Source Projects: Parts I & II. ArcGIS GeoEvent Extension for Server: Building Real-Time Web Applications. Developers' Guide to Government Compliance Issues. "Esri developers will demonstrate, describe, and discuss the latest capabilities and techniques for using ArcGIS developer tools with you," said Jim Barry, program manager of the Esri Developer Network. "Some emphasis will be given to building apps and systems for use in government, particularly the federal sector." There will be plenty of opportunities to network and ask questions. The summit will also include blocks of time on the agenda set aside for user presentations and five-minute Lightning Talks. There's still time to snag a Lightning Talk slot, so e-mail your PowerPoint or Prezi file to lightningtalks@esri.com with DevSummit DC in the subject line by January 30. If you've ever wanted to present or thought you should, DevSummit DC would be a great place to do it! Between the DevSummit DC Plenary Session and the tech sessions, you'll see the latest and greatest Esri technology in action. Esri is always working on new ways to improve the ArcGIS platform and assist the developers who use it. 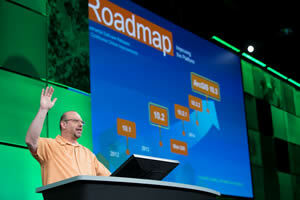 The "ArcGIS: The Road Ahead" session at DevSummit DC will give you a look into the future. 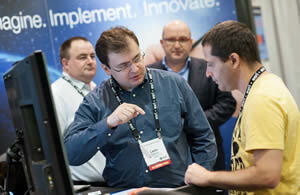 And there will be plenty of Esri developers around if you'd like to ask questions or talk about the plans for ArcGIS. 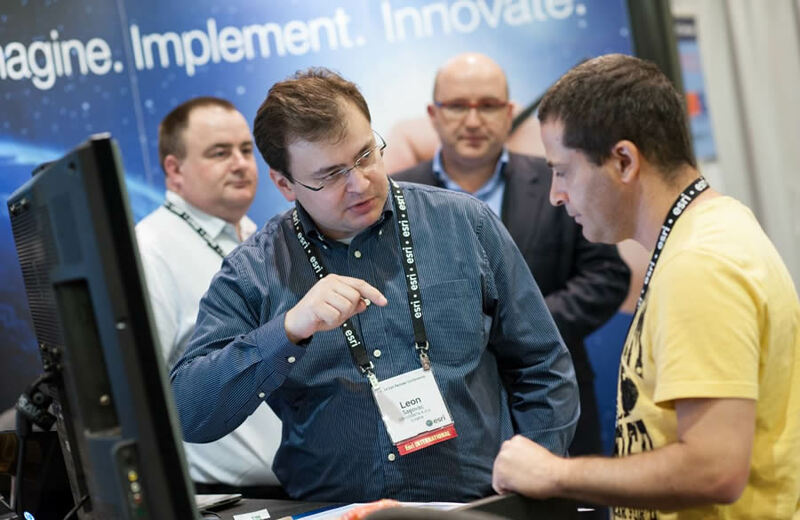 There will be ample opportunities to meet with fellow GeoDevs and Esri developers. At the end of the day, Esri will host a Meet the Presenters social, where you can chat with the Esri developers who presented and your colleagues who work in development. Visit the DevSummit DC web page to learn more and register. If you have any questions, e-mail devsummit@esri.com or Tweet @EsriGeoDev. If you can't make it to DevSummit DC, mark your calendars for the flagship Esri Developer Summit in Palm Springs, March 10–13, 2015.